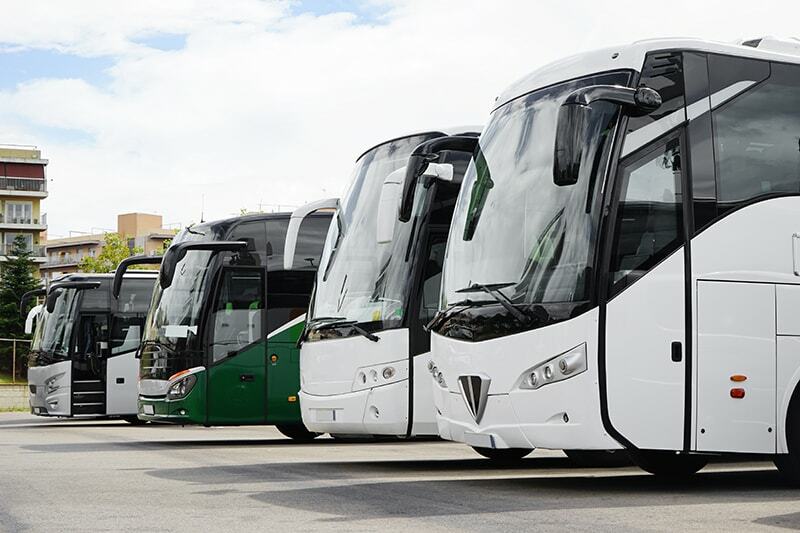 From driving a bus on a local route, to doing the school runs on a school bus or driving tourists on a coach through Europe, there are countless possibilities that a Category D licence offers you. Holders of category D licence are expected to show sound knowledge of professional driving techniques as well as the right attitude and approach to driving. They must always take into consideration the fact that they are transporting people and are responsible for their safety and wellbeing throughout their journey on the vehicle they are driving. Obtaining a category D licence will entitle you to drive a large bus for hire or reward with more than 8 passenger seats with a trailer up to 750 kg. Once this licence category is obtained, any size of PCV can be driven for hire or reward and can be either a single or a double-decker bus. You can do your medical exam with you own GP or for a quicker and cheaper process we can arrange your PCV application medical with our practitioner in Bournemouth. You will be required to take a D2 medical application form with you. We can provide the required D4 forms. please ask our instructors. After passing the medical exam, the D4 Medical form must be sent along with an application for a provisional D licence and your current driving licence to DVLA, in the provided envelope. The theory test consists of two parts, theoretical questions and hazard perception. You will need to score those 85/100 correct answers for the question part and 67/100 for your hazard perception consisting of 19 clips. You will receive a tailor-made learning experience, based on your experience and needs, on a one to one basis. Most courses are booked Monday – Friday but can be midweek or Saturday testing if the trainee requires. * Training and passing on automatic will give you a full manual and automatic PCV licence provided you already hold a manual car licence. From past experience we have learned that most trainees achieve the required level in a 20 – 24 hours course. The hours are spread over five days, and each lesson has a duration of 4 hours. However, this can be adjusted to suit individual needs. The day of the test will have a separate layout, with at least one hour of training before the test, depending on the time the test had been booked for. • improving your general driving skills to make sure they are up to the DVSA driving test standard. • showing you the most popular situations and driving manoeuvres you are likely to encounter as part of your driving test. • teaching you about the reversing manoeuvre which you will be required to do as part of your practical test. • teaching you the ‘show me/ tell me’ questions which will be asked at the beginning of your test. Please consider when deciding which PCV training course would suit you best, that if you try to select a shorter training course in an attempt to save money, you may not pass your PCV test first time, and may end up spending more money on re-tests than if you selected the most appropriate course for your skill level in the first place. If you are unsure about which PCV course would suit you best, then please contact our office where we will be more than happy to help you decide. During the road part of the test the PCV examiner will assess your ability to interact with other road users. You will be examined on your general driving and on set exercises. The set exercises will include an ‘S’ shaped reverse into a bay. The examiner will be looking for an overall safe standard of driving. If you make a mistake, don’t worry about it, it might be a less serious driving fault and may not affect your result. You can make up to 15 driving faults and still pass the test (16 or more driving faults will mean a failure). However, one serious or dangerous fault will fail you the test. If at any time your examiner considers you to be a danger to other road users, the test will be stopped. As a new driver, before you can transport passengers for hire or reward, by law, you must also acquire a Drivers CPC certificate. Please see our CPC section for more information. 2 lessons of training and the test on the 3rd lesson suitable for experienced HGV drivers. 3 lessons of training and the test on the 4th lesson suitable for driver with experience on 7.5 tones or that have passed their HGV licence a while back. 4 lessons of training and the test on the 5th lesson suitable for driver with some experience on 3.5 tones or 7.5 tones vehicles. 5 lessons of training and the test on the 6th lesson designed for car drivers. 6 lessons of training and the test on the 7th lesson suitable for car drivers.